Post your job and receive quotes from quality, local English and/or French speaking tradespeople throughout France who contact you - saving you both time and effort. 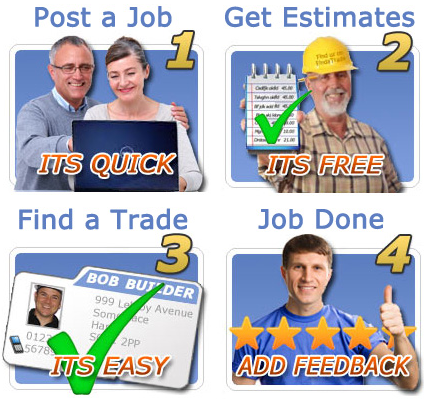 Compare quotes and view each company's detailed online profile, including languages spoken and previous customer's ratings and feedback comments, helping you choose the right tradesperson for you. Post your Job Now - FREE! Take a few minutes to post your job and lets us do the rest - trades in France come to you! See our Testimonials Post your Job Now - FREE!